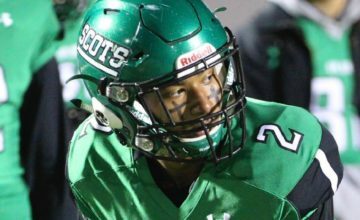 Iosua Opeta’s intimidating look is only reinforced by his stern and stoic nature. As he sat at a table in the midst of a frenzy of reporters during the Big Sky Kickoff media conference in Spokane, his answers were direct and to the point. 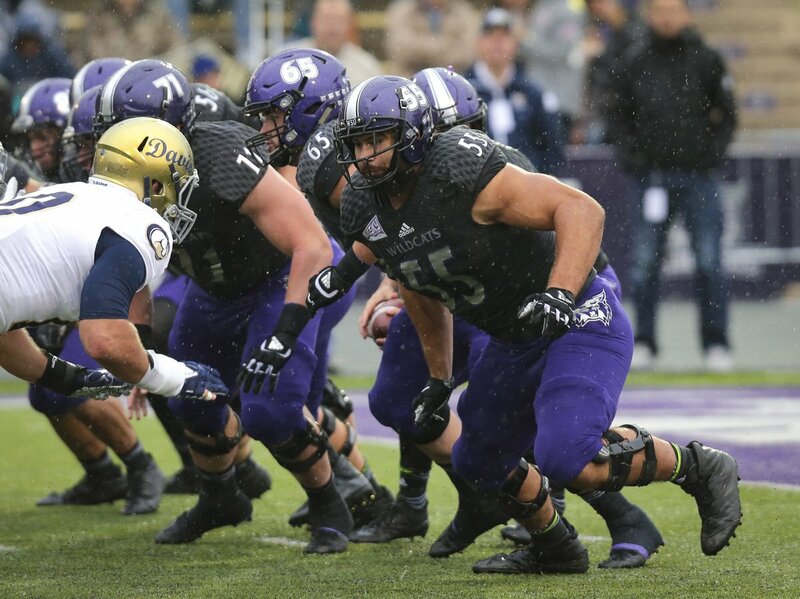 Because of the presence he carries himself with and his menacing 6-foot-4, 310-pound frame, the Weber State offensive tackle demands you take him seriously. When asked what his expectations were with the start of his season still more than two months away, Opeta did not mince words. A strong assertion coming from a strong man. 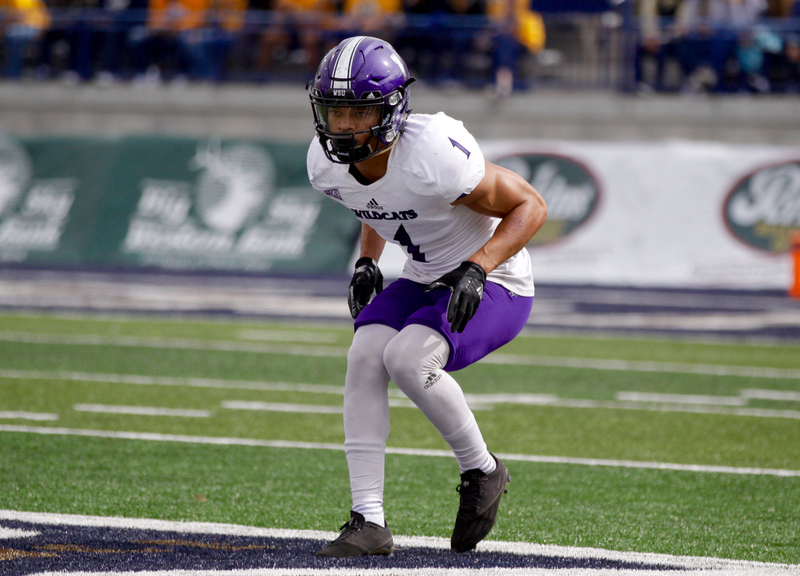 And a lofty goal set at the time, particularly considering Weber State lost three All-American players — cornerback Taron Johnson, tight end Andrew Vollert and defensive tackle McKay Murphy — to the NFL following last season’s run to the Big Sky Conference title. WSU also needed to replace Stefan Cantwell, a fittingly hard-nosed quarterback for head coach Jay Hill’s hard-hitting style. That quartet helped propel Weber on its best postseason run in program history. 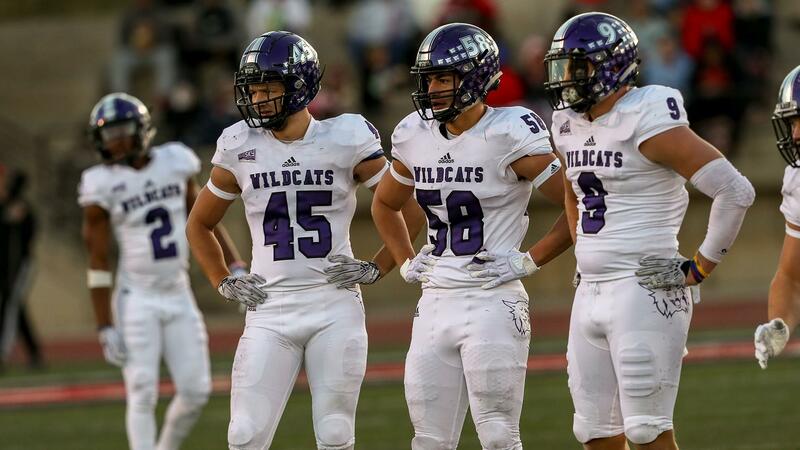 A season after making the playoffs for the first time under Hill, Weber State started 4-2. The Wildcats rebounded from a 32-16 loss to Southern Utah (WSU’s only league loss of the season) to forge a five-game winning streak to close the season as co-Big Sky champions with the Thunderbirds. In the playoffs, Weber downed Western Illinois 21-19 and ousted Southern Utah 30-13 in Cedar City. In the first quarterfinal appearance in school history, WSU took top-ranked James Madison down to the wire before losing on a last-second field goal, 31-28. “Last year was amazing but we expected it all year long to go as far as we did,” Opeta, a first-team All-Big Sky selection for the second straight season, said. “We are not surprised because of the amount of work we put on translated into exactly the results we expect. Replicating that success — a school-record 11 wins, the fourth conference title in school history, as many playoff wins in one postseason as in the entire history of the program — seemed like a tall task, particularly given the losses of so many key pieces at key positions. The quest to take the next step begins for Weber State on Saturday. The Wildcats host No. 20 Southeast Missouri State, the second team out of the Ohio Valley Conference. The Redhawks defeated Stony Brook 28-14 in the first round of the FCS playoffs last week. The No. 2-seeded Wildcats had the first 1st-round bye in school history. “Last year’s playoff run should be a huge builder of confidence that if we continue to do things the way we have, that we will keep getting better and better,” Hill said. “Last year, finishing fifth in the country was a huge step forward for us to affirm we do belong with those guys. With two minutes left in the game and you are up two points on James Madison, that was a big deal. Now we have to learn to finish those games when you are in them with the big guys. Weber’s rise has been both steady and rapid under Hill, a 43-year-old Utah native who is widely considered a rising star in the college football world. The former Utah cornerback was a graduate assistant for Ron McBride at his alma mater from 2001 until 2003 before joining Urban Meyer’s Utah staff in 2004. Hill was the Utes’ special teams coordinator from 2005 until 2013 on Kyle Whittingham’s staff before taking his first head coaching job at Weber State following Jody Sears’ dismissal at the end of his second season. 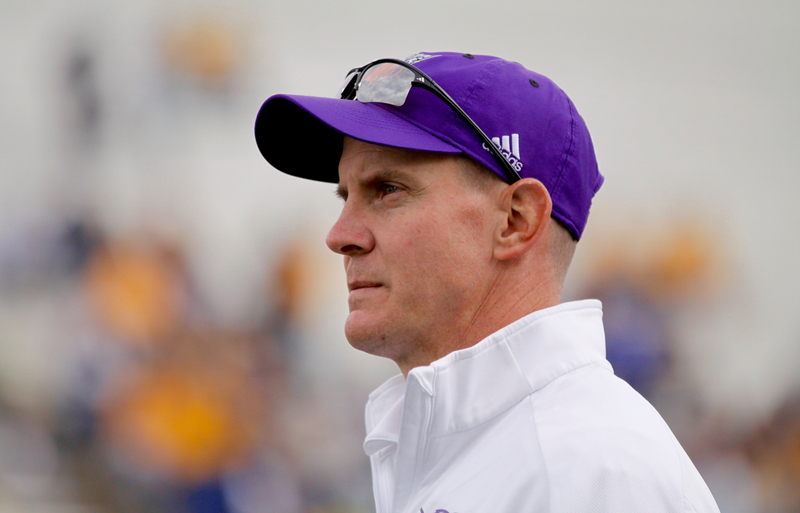 The head coach’s first Weber State team lost by a field goal at Southern Utah, by six points to Cal Poly, by 10 points at Montana State and by a touchdown against Northern Arizona during a nine-game losing streak to start the Hill era. The Wildcats broke through for a pair of wins in an otherwise trying campaign. In 2015, Weber State started winning some of those close games. A week after a 44-0 beat down at the hands of Southern Utah — behind the future NFL trio of defensive end James Cowser, safety Miles Killebrew and cornerback LeShaun Sims, the T-Birds won their first outright conference title that season — Weber earned a 24-21 overtime win in Missoula over Montana, the Wildcats’ first win at Washington-Grizzly Stadium since 1987. The following week, WSU beat North Dakota 25-24 to move to 3-1 in league. The campaign ended with a 5-3 conference record and a 6-5 mark overall. Hill’s program has continued climbing, from the team’s first playoff berth since 2016 in Hill’s third season to last year’s run to the Elite Eight of the FCS. Hill inherited a mess at Weber State. After winning 88 games in 13 seasons and leading the Utes from the WAC into the Mountain West Conference, McBride was fired following the 2002 season. 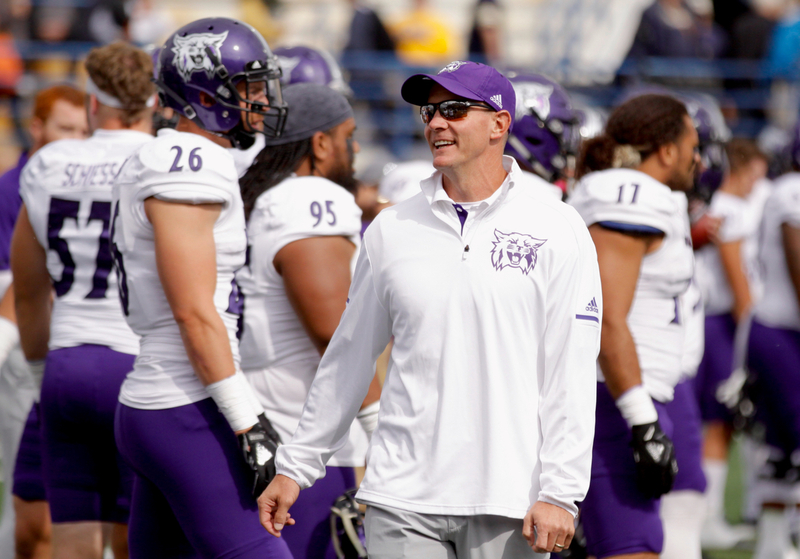 McBride’s final stop came at Weber State, where he was hired in 2005 and raised the Wildcats to their most competitive level since the late 1960s. 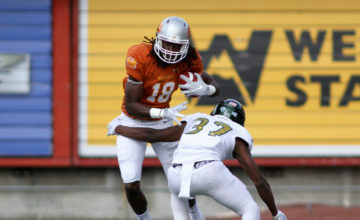 In 2008, Weber handed Montana its only Big Sky loss in 32 conference games between 2006 and 2009 on the way to sharing the league title the Griz. That Wildcats team was the first at Weber to make the FCS playoffs since 1991 and the first to win the league championship since 1968. WSU beat Cal Poly 49-35 in the first round of the 2008 playoffs before falling at Montana 24-13 in the quarterfinals. The win was just the second postseason victory in program history. The following season, McBride led the Wildcats to the playoffs once again. But following a 5-6 season in 2011, McBride stepped down. Weber State hired John L. Smith, the former Idaho head coach who led the Vandals to league titles in 1989 and 1993 before serving as the head coach at Utah State, Louisville and Michigan State. Smith had the Weber job for less than six months, jumping ship the summer before what was supposed to be his first season to instead take over for a fired Bobby Petrino at Arkansas. WSU scrambled, naming Sears, the defensive coordinator, as interim head coach. Two seasons of recruiting from across the country — WSU signed players from more than 20 states in Sears’ two recruiting classes — and four wins later, Sears was not retained. The ability to navigate a rebuild while battling the burden of emotion has earned Hill the admiration of his peers. “It’s not just the job he’s done coaching that team but also going through some of the things he’s gone through personally and being able to continually focusing on making those young men as good as he can make them, that’s impressive,” Montana State third-year head coach Jeff Choate said. “He’s got a really good staff. That’s a good situation there because they have decided football is important to them and they’ve invested in football. You can see the fruits of their labor in that regard. 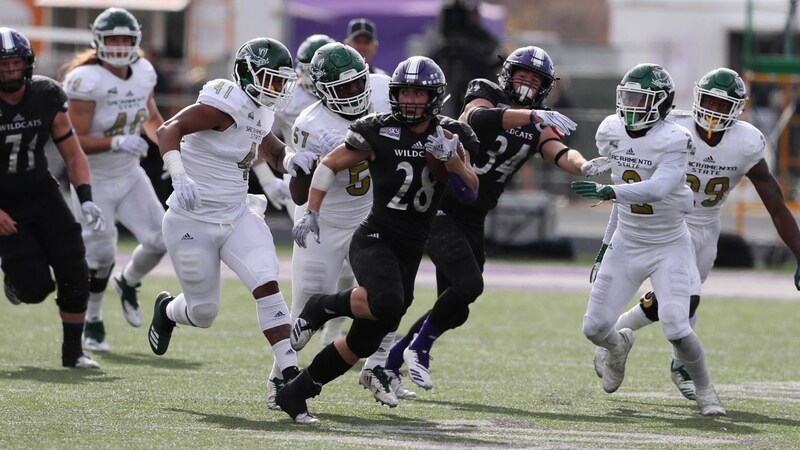 Despite relying on eventual Big Sky Freshman of the Year running back Josh Davis for a good deal of its offensive production, Weber State repeated as Big Sky champions this year,earning the league’s auto-bid by ripping six straight victories following a 28-24 loss at Northern Arizona. That streak included a 14-6 triumph over Eastern Washington. WSU held the Eagles without a touchdown for the first time in a decade. That win also gave Weber the tie-breaker over the Eagles, who earned the No. 3 seed in the playoffs with identical marks of 7-1 in league play, 9-2 overall. Now Weber State’s question to fulfill elevated expectations begins. 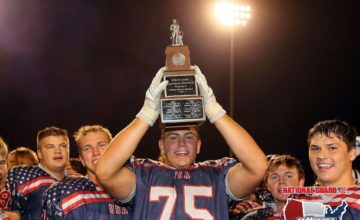 “My whole thing was early in this year, if we are going to win a conference championship which is the ultimate goal, our team is going to have to get better and better and better each week,” Hill said in October. Hill will find out just how ready his Wildcats are at 2 p.m. at Stewart Stadium.